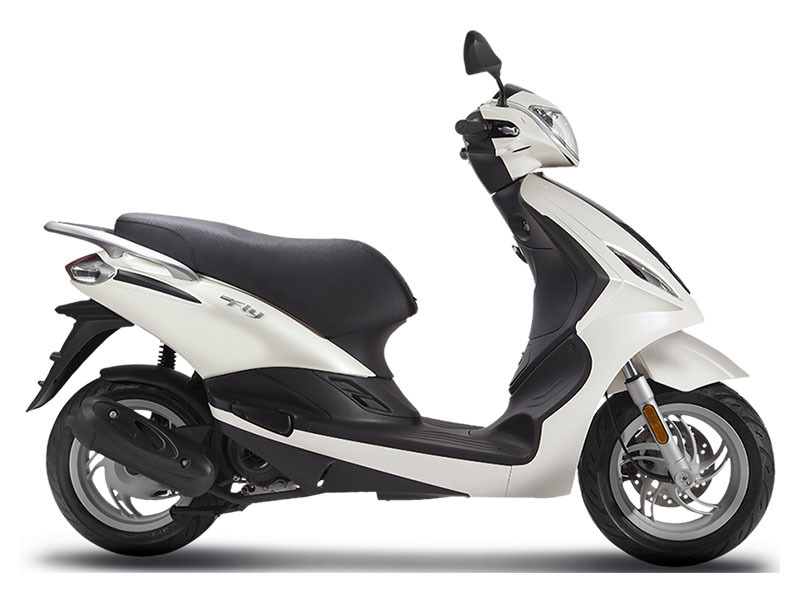 Built for the entry-level scooter market, the Piaggio Fly 50 is the perfect way to get onto two wheels. Light and easy to handle, the sleek and stylish Piaggio Fly 50 arrives with a 4-stroke Hi Per4 50cc engine for maximum efficiency and superb fuel economy. 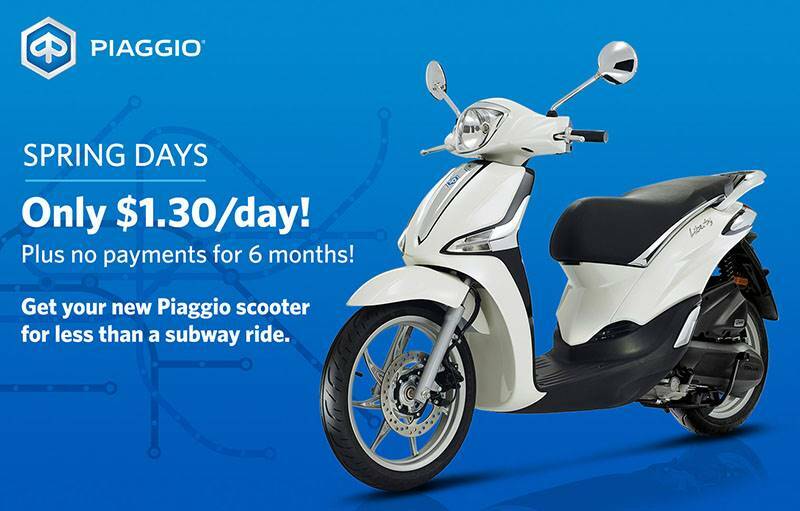 The Piaggio Fly 50's safety features include a protective shield and rigid steel tube frame, while the reliable front disc brake and large tubeless tires provide extra riding stability. The Fly 50 is both agile and stable - great in the city as well as on rougher roads. TWO HANDY AND VERSATILE STORAGE COMPARTMENTS: The Piaggio Fly comes with both a glove box in the rear shield, designed to hold documents and small objects, and a spacious compartment under the seat which can hold two flip-up helmets. Or, once your helmet is on your head and you're on the road, you can easily store a small bag instead. In addition to all this, you can hang your backpack or shopping bag from the bag hook at the front of the seat or place them on the wide footrest. GREAT BODY: The Piaggio Fly's structure is safe and robust, made from a single tube with high strength pressed steel plates. The 12-inch wheels come with tyres with a generous section of 120/70 while the brake system consists of a 220-mm disc up front and a 140-mm drum at the rear. The engine, with CVT with torque server, functions on a single-sided swing arm. EASY AT THE PUMP: When it's time to fill up there's no need to dismount as the fuel tank cap is handily located in the rear shield. Simply stretch out your hand and you're there. The wide seat, rear foot pegs and grip handles built into the luggage rack all combine to ensure that both driver and passenger enjoy a comfortable ride. Because a ride on the Fly is definitely an experience to be shared. Front / Rear - Tubeless, 120 / 70-12 in.